Welcome to my website, which is devoted to memoir writing and the heroine’s journey. My work explores the mysteries of the psyche, a fascination with mythology and a love of story telling and memoir writing. In 1990 I wrote the best selling book The Heroine’s Journey as a response to Joseph Campbell’s hero’s journey. It was groundbreaking at the time and continues to inspire a new generation of women. 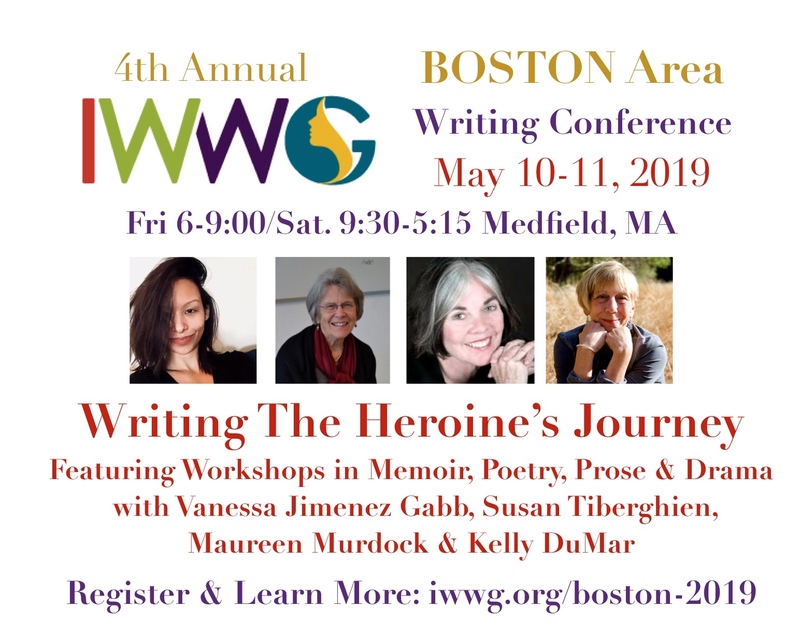 A critical stage of The Heroine’s Journey addresses every woman’s yearning to create so my blog will explore memoir writing as a powerful creative expression of each person’s desire to understand their life and the lives of their loved ones. My blog will also explore the public policy issues relating to mental health, addiction and the criminal justice system as they affect our world today. I hope you will also visit my photography gallery Changing Woman: Contemporary Faces of the Goddess where I present portraits and interviews of women whose focus is feminine spirituality. View Maureen’s extraordinary portraits and interviews with women artists, dancers, activists, and writers whose focus is feminine spirituality. Stay in Touch! Subscribe to occasional updates. Some of the best memoir s you can read are those that are reflective, those which are informed by dreams, myth, and synchronicities, maintains Maureen Murdock, a Jungian-oriented psychotherapist and the author of multiple memoirs and books about memoirs. In other words, there’s a depth psychological perspective that can facilitate, enhance, and deepen the telling of one’s story in a profound way. Murdock is co-leading a 9-month certificate program on writing memoir at Pacifica Graduate Institute starting in March 2017, along with Dr. Jennifer Selig and Dr. Daphne Dodson, and with the participation of Kelly Carlin who wrote her own memoir about her famous father, in part as a result of her education with Murdock at Pacifica. 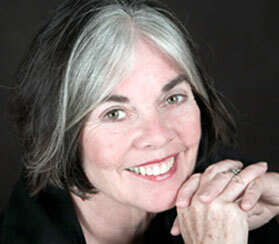 In a recent interview, Maureen was asked to expound on what it takes to produce a good memoir. Maureen Murdock’s books have enriched the lives of thousands of people and been translated into over a dozen languages. Maureen’s groundbreaking book, The Heroine’s Journey: Woman’s Quest for Wholeness, published by Shambhala Publications in 1990, was written as a response to Joseph Campbell’s book on the hero’s journey. Maureen, who was a student of Campbell’s work, felt his model did not address the specific psycho-spiritual journey of contemporary women. She developed a model of the feminine journey based on her work with women in therapy and showed it to him in 1983. Campbell’s response was, “Women don’t need to make the journey. In the whole mythological journey, the woman is there. All she has to do is realize that she’s the place that people are trying to get to.” Knowing that women were indeed involved in their own deep psycho-spiritual journey, Maureen developed a model of the heroine’s journey which has become a template for novelists, screenwriters, and those who desire to understand the deep wounding of the feminine on both a personal and cultural level. Maureen received thousands of letters from women throughout the world, particularly from fathers’ daughters, relating to the wisdom in The Heroine’s Journey. It has been published in French, Spanish, German, Dutch, Serbo-Croatian, Italian and Farsi. Unreliable Truth: On Memoir and Memory is a captivating treatise on the corruptibility of memory that also provides tools for exploration of the self and soul through personal narrative. It started as an essay about the similarities between myth and memoir but took on a more personal meaning as Maureen’s mother struggled with Alzheimer’s disease. Maureen began to look at the relationship of memory to identity as the loss of her mother’s memory affected her sense of herself. It also brokered a healing in the relationship between mother and daughter. As Maureen wrote, the book became more and more about the relationship with her mother and less and less about myth. It is used in college writing courses throughout the country. One of the most profound relationships in a woman’s life is with her father. In childhood, she is often referred to as “Daddy’s little girl.” As cute as that may sound in childhood, there is often a dark side to that alliance. Such a “father’s daughter” pays a high price for her favored status. In order to sustain his approval, protection and love she often distances herself from her mother. Although she may be successful at work, she may have difficulties in intimate relationships and in the realms of sexuality, spirituality, and creativity. Father’s Daughters explores the shadow side of father love through myth, fairy tales, and Jungian psychology. It has been published in Korean, Chinese, Hebrew, Portuguese, and Spanish. Through myth, fairy tale, case studies, and Jungian psychology, best-selling author Maureen Murdock explores the unique relationship between a “father’s daughter” and her father, its rewards and pitfalls, and how this idealized relationship affects the mother daughter bond. This rich and thoughtful analysis examines Beauty and the Beast, Donkeyskin, The Wizard of Oz, King Lear, and The Handless Maiden to empower the father’s daughter to untangle the ties that bind her to her father and redeem a female vision that is truly powerful and nurturing. The Sacred Marriage, which occurs as she learns to integrate and balance all aspects of herself. The chapters include questions for reflection as well as exercises in guided imagery, writing, art, and dreamwork to bring clarity and understanding to the quest. Finally, the skills learned on this archetypal journey prepare a woman to work toward the larger quest of bringing consciousness to others and preserving the balance of life on earth. Maureen Murdock’s first book, Spinning Inward: Using Guided Imagery with Children for Learning, Creativity and Relaxation came out of her own meditation practice and subsequent work with guided imagery in elementary, middle school, and high school classrooms. Spinning Inward, published by Shambhala Publications in 1987 has been published in Spanish, Italian, Portuguese, Dutch and German and is widely used along with the playing of Tibetan singing bowls to enhance concentration, relaxation, and creativity in German classrooms. The use of guided imagery has been internationally recognized as an effective method of “whole brain” learning. The author’s approach will have special appeal to parents and teachers who are frustrated by an educational system that seems to reward only those children who excel at verbal, linear learning. With the exercises in this book, young people can discover the learning styles that are effective and enjoyable for them. These techniques of guided imagery offer adults as well as children a unique way to tap the wealth of creativity and wisdom within. Published in 2002, Monday Morning Memoirs: Women in the Second Half of Life, is a dazzling collection of intimate stories written by ten remarkable women who first met in a creative writing class at UCLA in the mid-nineties and have continued to write together ever since. This wildly different, yet amazingly similar group of women, aged forty-five to eighty, have provided a unique view of the second half of life across several generations. They have crafted their memories with exceptional compassion, humor, insight, and attention to the cultural changes that have occurred in the last four decades. An introduction to each chapter describes the elements of memoir writing contained in each piece so that you can begin to write your life story too. Maureen’s newest book, The Emergence of Bipolar Disorder: A Mother’s Perspective, published as a Kindle Single in November, 2013, informs the reader about the early signs of bipolar disorder in an adolescent or young adult from a mother who has been through this journey with her son. The book describes what’s involved in a mental health crisis, the trauma of a first hospitalization and facts and figures about bipolar disorder, the fastest growing brain illness in children today. According to the U.S. Surgeon General, four million children and adolescents in America suffer from a serious mental disorder. Through early diagnosis and treatment these young people can live productive lives. As a mother and a psychotherapist, it was difficult for Maureen to find adequate resources when her son was first diagnosed so she offers tools to navigate these turbulent waters. Included are suggestions about Mental Health First Aid, personal recommendations for links to TED Talks by two young people talking about living with bipolar disorder and community resources a family can access for support before, during, and after a mental health crisis. Like the award-winning movie “Silver Linings Playbook,” The Emergence of Bipolar Disorder: A Mother’s Perspective gives the reader a glimpse into the challenges a family experiences when a child is struck with a mood disorder.